Born from one man’s vision to produce the most advanced luxury performance boats on the market, Hunton boasts a racing pedigree spanning more than three decades, With countless championship wins and a glittering trophy cabinet, Hunton is the brand for those that know and appreciate high performance luxury boats. 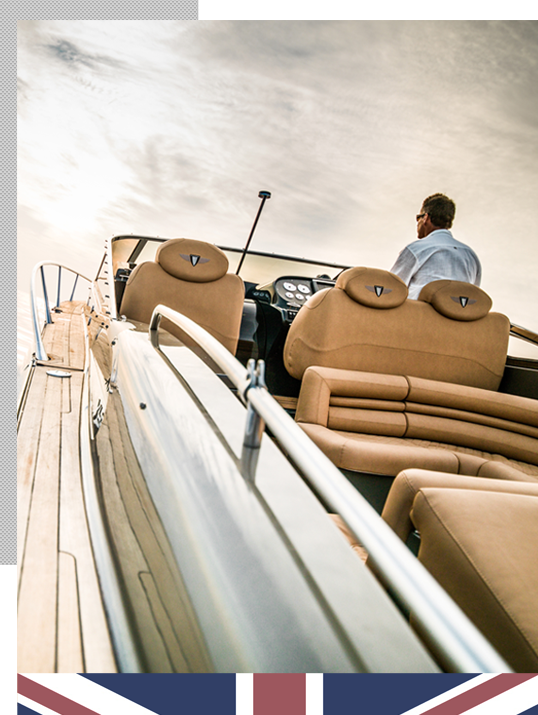 Hunton boats are built in low numbers for boat connoisseurs looking for a blend of performance and luxury unavailable elsewhere. 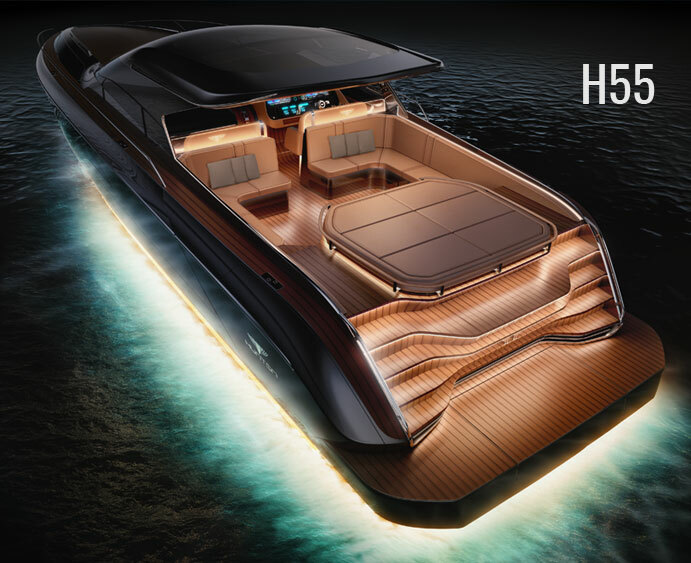 Featuring advanced geometry hull design, state-of-the-art epoxy composite construction, next-generation digital-fly-by-wire joystick technology, and an unmatched level of liveaboard comfort, the H55 is a new class of ultra-luxury performance cruising yacht. 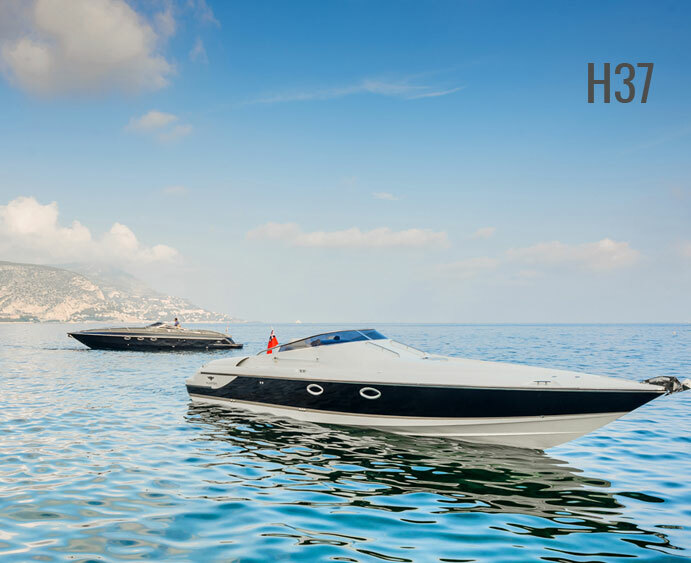 Renowned around the world for her impressive best-in-class stability and handling, the H43 also delivers unequaled efficiency achieving 1.4 NM per gallon at a 42-knot cruise. The purity of her racing design shines the second you move the throttles forward and instantly plane off. 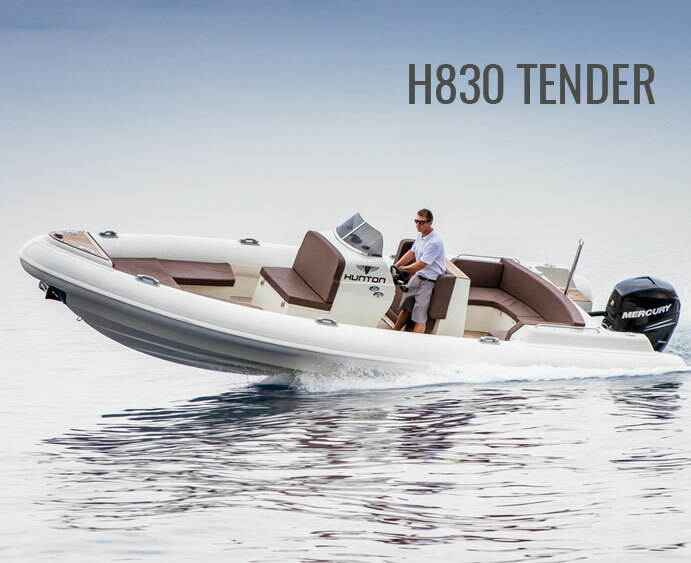 The solid, controlled handling is more akin to a supercar with impressive stability and comfort in a seaway. 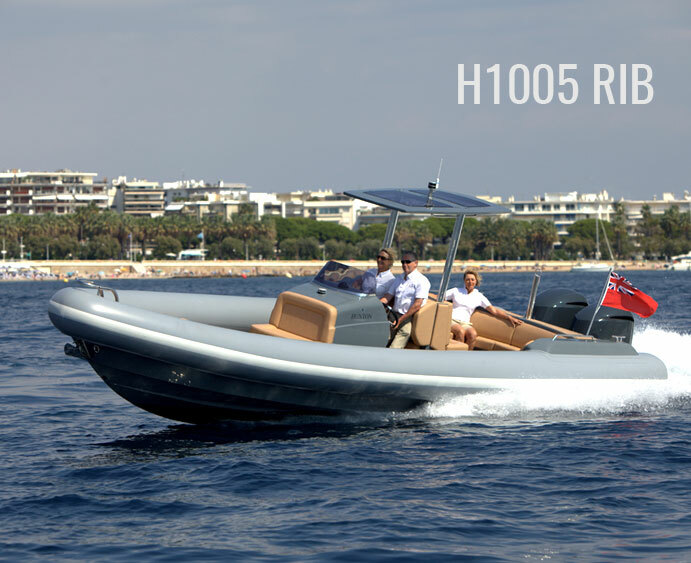 Offered in twin outboard or sterndrive power configurations, the H1005 luxury tender is fast, capable and smooth. It's the ultimate pairing for todays superyachts. The H830 makes a statement with her beauty and impressive performance. This is the worlds best tender under ten meters. 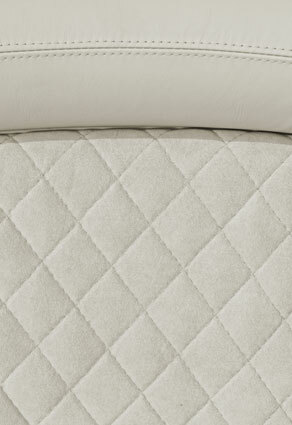 Her advanced engineering and meticulous craftsmanship delivers refined comfort. 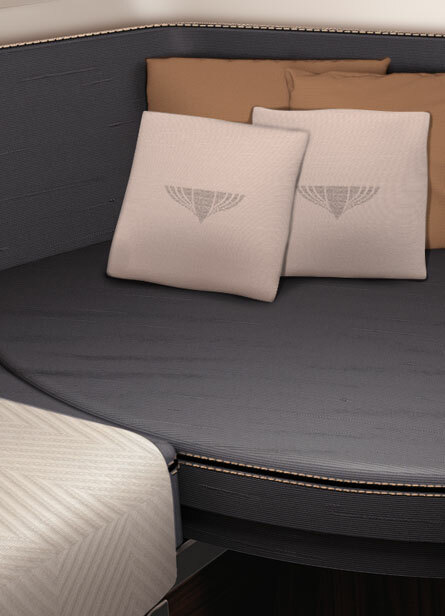 Ready To Experience A Hunton Yacht? 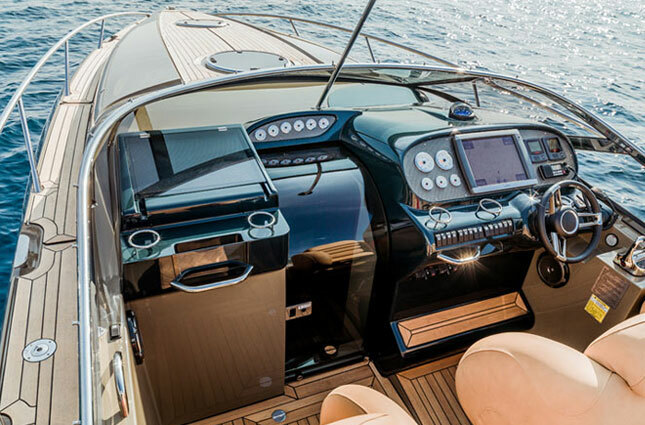 Hunton is the leading British luxury performance yacht brand. You can expect superior quality, excellent customer service and the pursuit for constant and never-ending improvement.